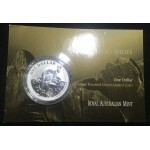 The 2015 Australian Explorers' First Sightings 1oz Silver Proof Coin is struck in 99.9.. 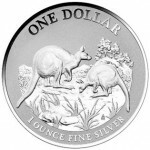 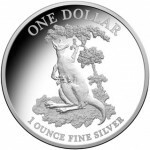 The 2014 Australia $1 Silver Frunc - Kangaroo - Explorers First Sighting struck by the Royal..
2013 Australian 1oz Silver Proof Kangaroo Coin ..
2012 Australian 1oz Silver Kangaroo Uncirculated Coin is struck by the Royal Australian Mint. 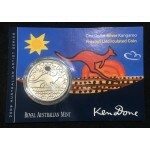 Hou..
2011 Australian 1oz Silver Proof Kangaroo Coin ..
2011 Australian 1oz Silver Kangaroo Uncirculated Coin ..
2010 Australian 1oz Silver Kangaroo Proof Coin ..
2010 Australian 1oz Silver Kangaroo Uncirculated Coin .. 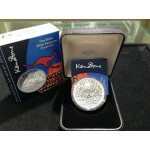 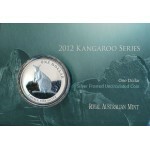 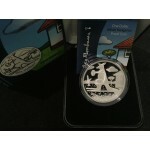 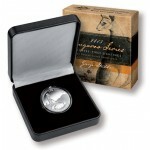 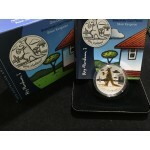 The 2009 Australian 1oz Silver Proof Kangaroo Coin is Struck At the Royal Australian Mint. 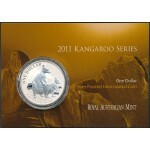 H..
2009 Australian 1oz Silver Uncirculated Kangaroo Coin .. 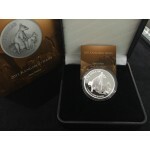 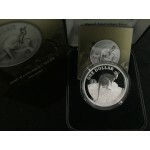 The 2008 Australian 1oz Silver Selective Gold Plating Kangaroo Coin is struck by the Royal A..
2008 Australian 1oz Silver Kangaroo Proof Coin ..